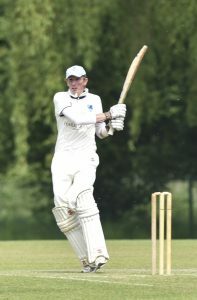 CRICKET: CHOBHAM’s late push to avoid the drop was given a welcome boost last Saturday after they comfortably beat fellow strugglers Mitcham. After sharing the points, eight apiece, away to Morden the previous week, Chobham welcomed Mitcham knowing that there was no room for error. Defeat was not an option. The hosts won the toss and put Mitcham into bat first, which proved to be the right decision.